A cheat meal is awesome. This is the time when you get to stray from your grilled chicken and brown rice staples to dig into a juicy cheeseburger, pasta or something deep fried. For bodybuilders and those focused on a fitness lifestyle, just saying the magic words “cheat meal,” conjures up fantastic images of burgers piled high with bacon, French fries drenched in cheese and desserts like deep fried Oreos and lava cake. The simple truth is that everything tastes better when you are dieting, especially a cheat meal. RESET YOUR METABOLISM: Your body adapts to a calorie deficit. Boosting your caloric intake occasionally with a cheat meal encourages your body to keep burning calories rapidly and slows its adjustment to the lower calorie lifestyle. GET YOUR HEAD ON STRAIGHT: It’s all about the mind set and breaking up the monotony of the struggle to eat clean. A cheat meal gives you something to look forward to and can make sticking to the diet more obtainable. REWARD YOURSELF: It’s always good to reward yourself for hard work, and a cheat meal serves this purpose amicably. LEPTIN LEVELS: Leptin is a hormone involved in appetite control. When you cut calories or restrict the carbs in your diet, leptin levels drop. The lack of leptin is what makes it more difficult to control your appetite. This also slows your metabolism. 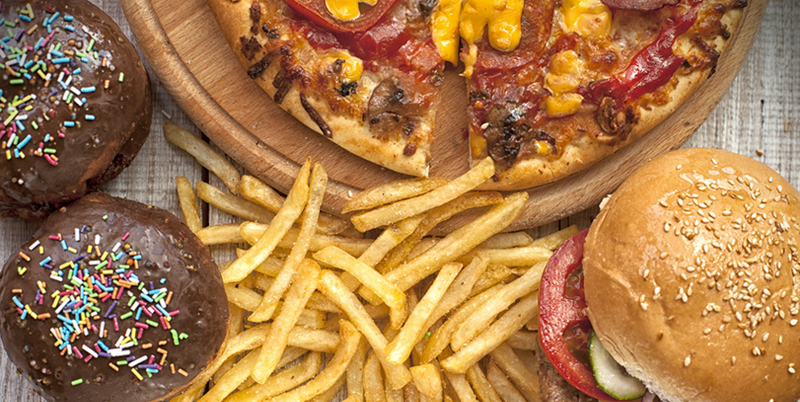 A cheat meal can help boost your leptin levels and help you better control your appetite. WHAT DO YOU EAT WHEN YOU CHEAT? We asked BPI Athletes what their favorite cheat meals were. Here are some of the outrageously tempting and deliciously decadent responses. A “Macaroni and Cheese Burger” from The Cheesecake Factory. It is truly one of a kind. My favorite cheat meal is of course an In-N-Out Burger. I seriously am so obsessed with burgers and love the ones I get from there. I get a Double Double and a side of fries. You can never go wrong with a burger for a cheat meal, especially if you have been killing it and working so hard. My favorite go-to cheat meal is definitely at The Cheesecake Factory, starting off with the Mac & Cheese Balls and Burger Bites. Then I would get the Louisiana Chicken Pasta. Finishing off the cheat meal I would get the Reese’s Cheesecake. Definitely a must-try combo with it all. Pizza, French fries, popcorn and wine! I know it’s a weird mix but soooo good. My favorite cheat meal is a slice of pizza. If we’re getting real specific I love me a margherita or pepperoni slice. This is something I typically limit to twice a month. Special chicken crust pizza! RECIPE: You grind up chicken breast and add Italian seasoning into a blend. Get it mixed up then spread it super thin onto a cookie tray and press it flat. Bake for ten minutes then add low sodium pizza sauce, non-fat cheese, and lately I’ve added smoked chicken sausage. Bake for another ten minutes. I’ve always been quite picky when it comes to cheat meals as I don’t allow myself to slip away from my dietary requirements often. When I do have a cheat meal it has to be grand! I’ve never really had a sweet tooth, so the typical candy and cake that comes to mind when we speak about cheat meals doesn’t really do it for me. I’m more of a savory guy. Whenever I visit home, my mom always makes the most wonderful, cheese stuffed enchiladas that are simply irrefutable. Secondly, I have a soft spot for seafood. Marinated garlic prawns, cooked in butter has to be next on the list. Then pizza, how could I forget pizza. Lastly, I’ve always been one to appreciate a good burrito… this is the real secret to all my gains, LOL.